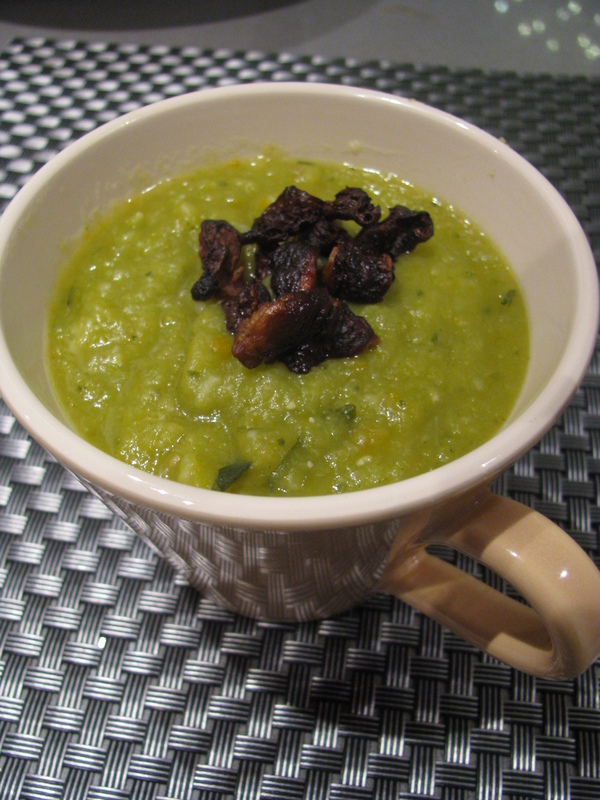 Dutch pea soup with mushroom ¨bacon¨ (erwtensoep) | Fork off, heart disease! Let´s face it, Dutch cuisine has never won many accolades. The meals are quite spartan, consisting of either vegetables boiled to an oblivion accompanied by meat or deep-fried pastry of some sort containing meat and/or cheese. Not exactly the stuff that would garner any Michelin stars. That said, typical Dutch food can be quite comforting and warm that goes quite well with the typically rainy weather. Most Dutch dishes are meat-based of course so I set about veganising them. 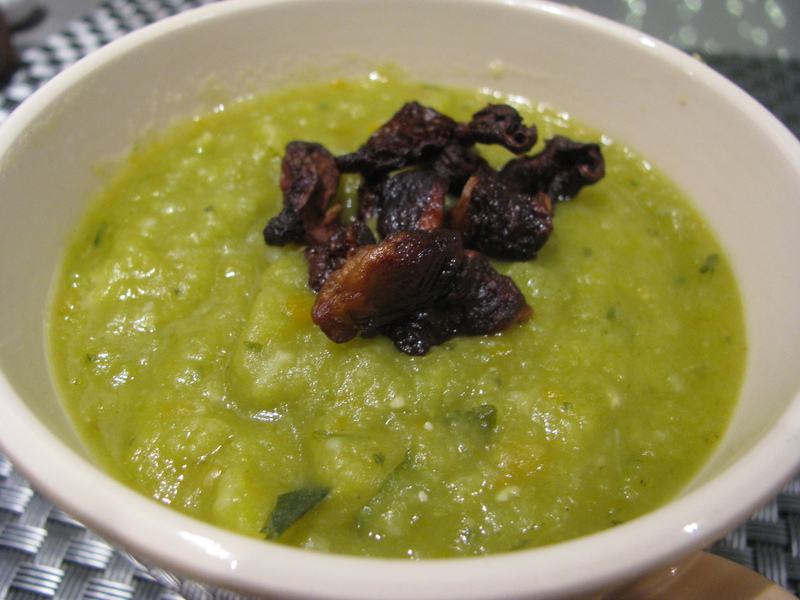 And here is the soup with the ¨bacon¨ topping – sooo good! 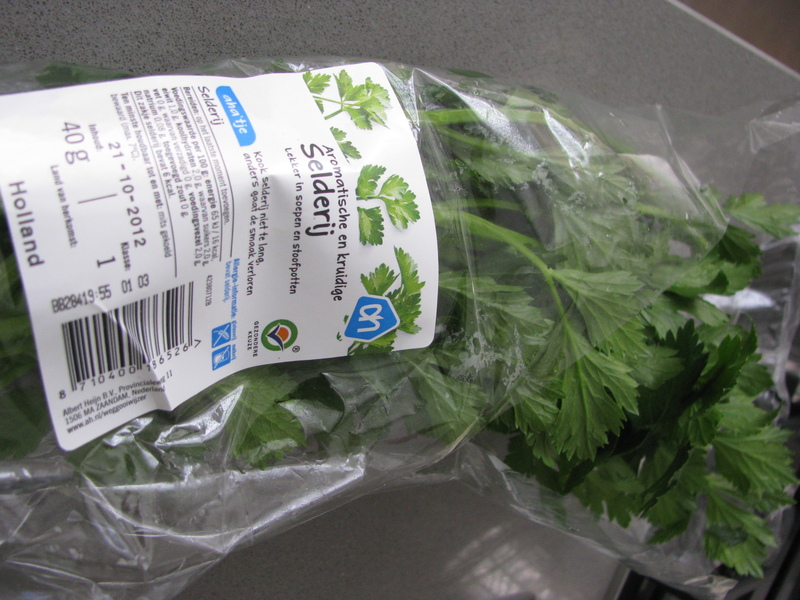 I reckon that if you do not have access to selderij as we do here, just use the tops of regular celery. Do not worry about the quantity: there is plenty of celery flavour from the celeriac, even if you do not have 40 grams of celery tops. Add to a large pot the bouillon, split peas, celeriac and carrots. 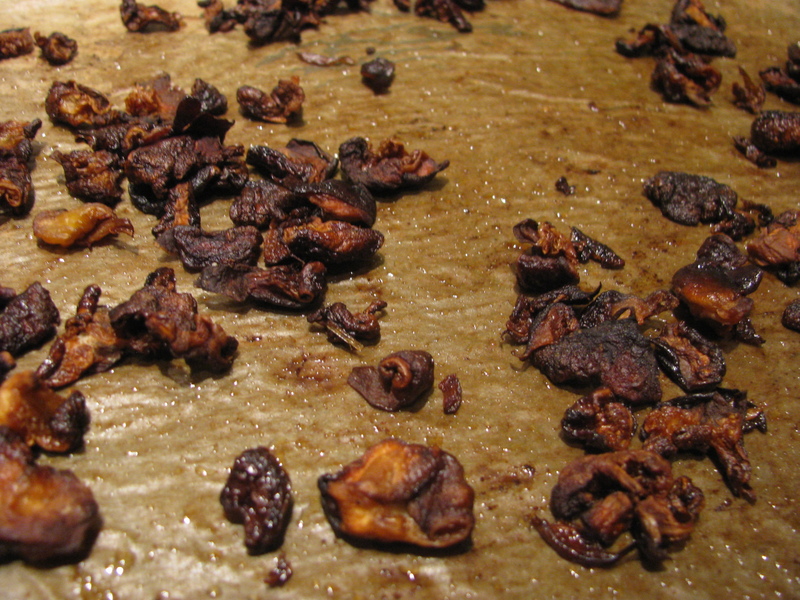 Bring to a boil, cover and let simmer for 45 minutes. Then add the leeks and selderij (or celery tops). Simmer for another 15-20 minutes. 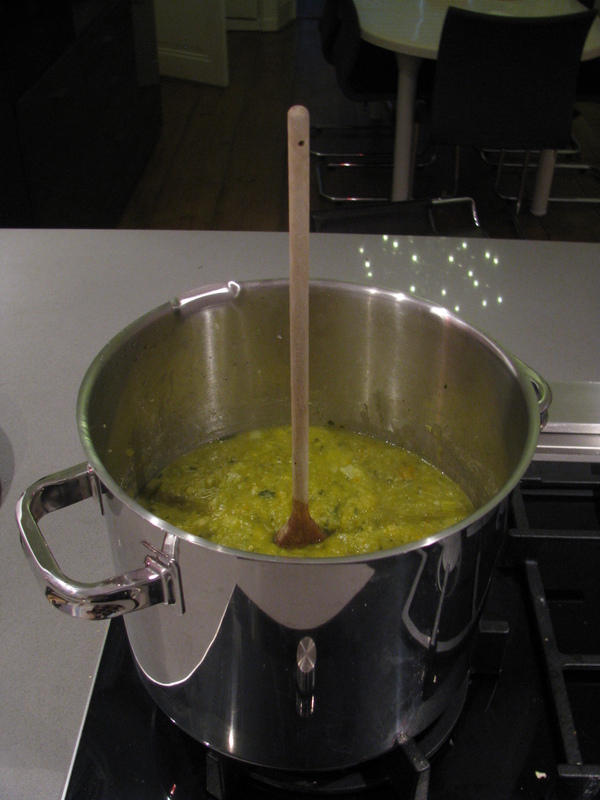 Let the soup cool off for a bit before using the hand blender to puree the soup. If you find the soup too thick, feel free to thin it with more broth. Serve with the mushroom bacon.